The villagers, who reside on top of a mountain at Bahananwa, Senwabarwana, outside Polokwane in Limpopo, want the Electoral Commission of South Africa’s staffers to reach them so that they can cast their votes during the May 8 elections. A resident, 47-year-old Rosina Mokgobu, says they were reached by helicopter in the first democratic elections but were neglected in the other elections. The village is comprised of about 20 households with almost 100 residents. There is no road, water and electricity. Mokgobu says they are still undecided if ever they will descend the mountain to vote in the neighbouring village. “I think in the first democratic election they did a lot of good things for us to receive grants. We were provided with solars here in the mountainous area. We had access to vote here in the mountain. 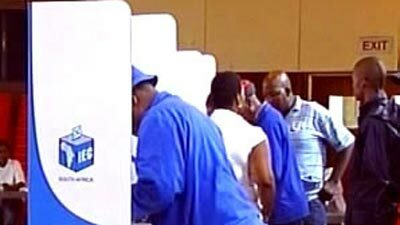 The post Secluded villagers in Limpopo demand to vote appeared first on SABC News – Breaking news, special reports, world, business, sport coverage of all South African current events. Africa's news leader..